The Cyprus built Karnic Open 1851 features a distinctive European design, and with its advanced construction technology delivers a level of performance that is sure to please the most fastidious Buyer. 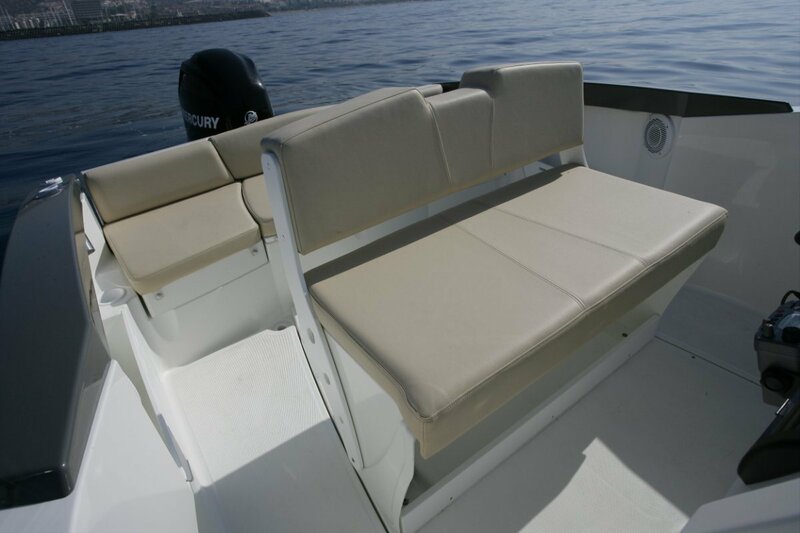 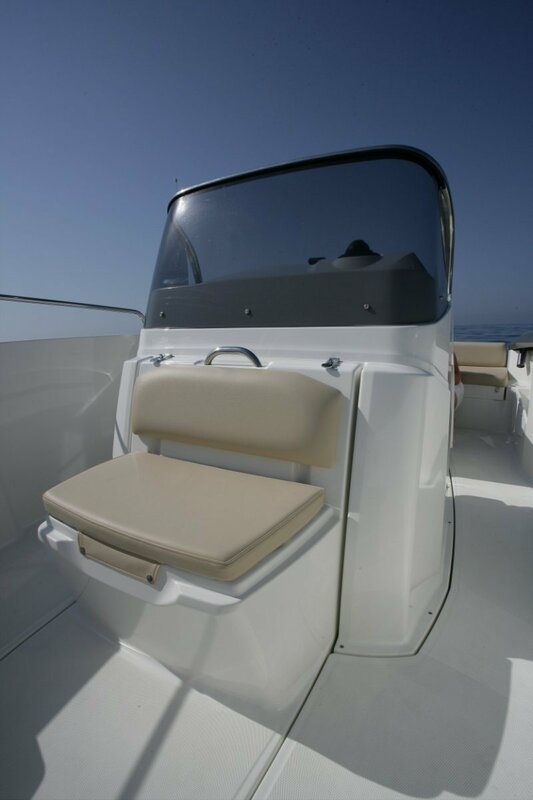 Designed to offer layout flexibility, you can choose either swivel or convertible helm seats to sunbed and table arrangement at bow. 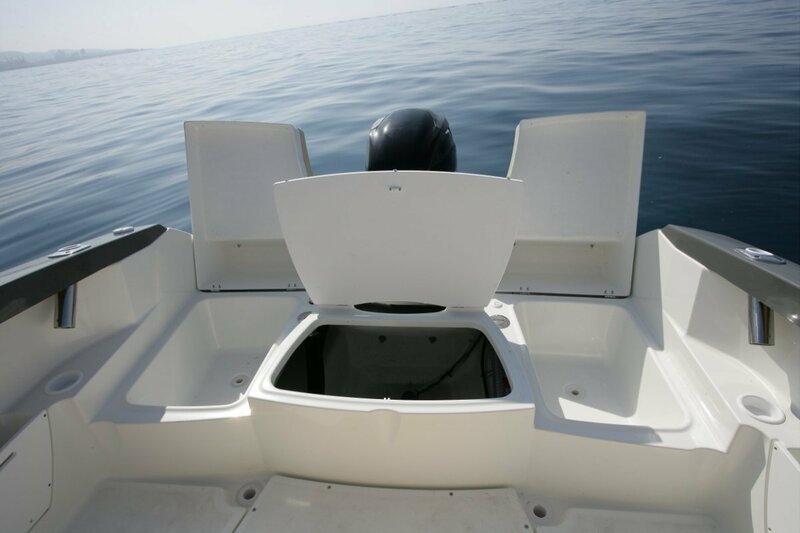 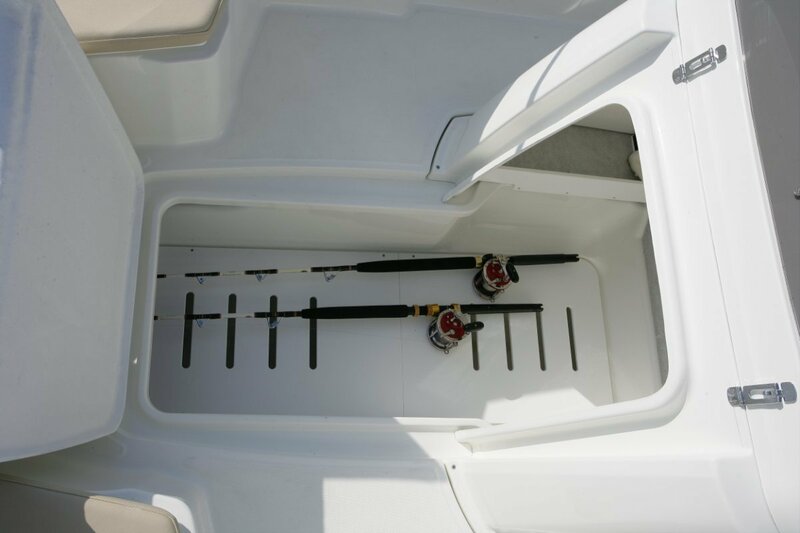 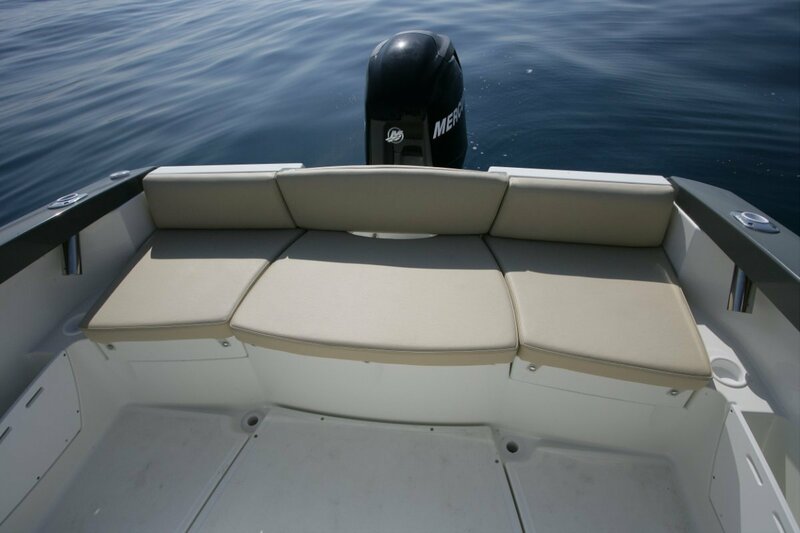 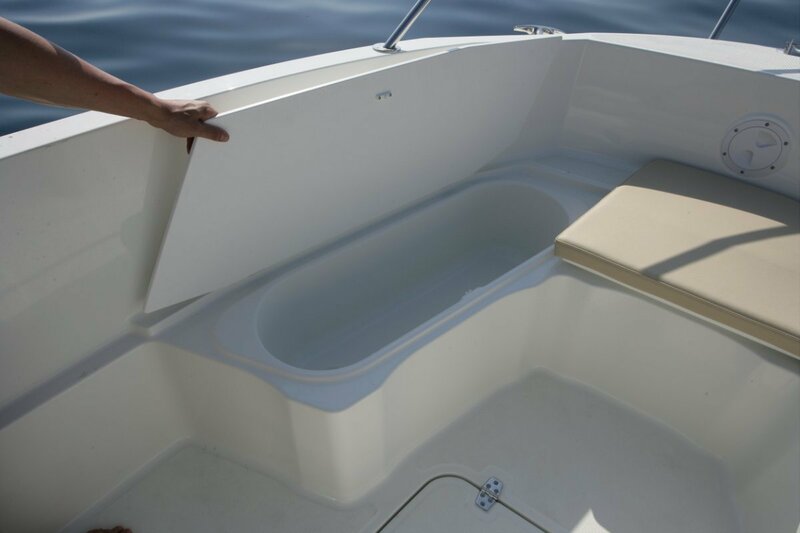 The 1851 offers enormous storage space inside the console via an opening hatch, that is long enough to store fishing rods and big enough to accommodate a chemical toilet. 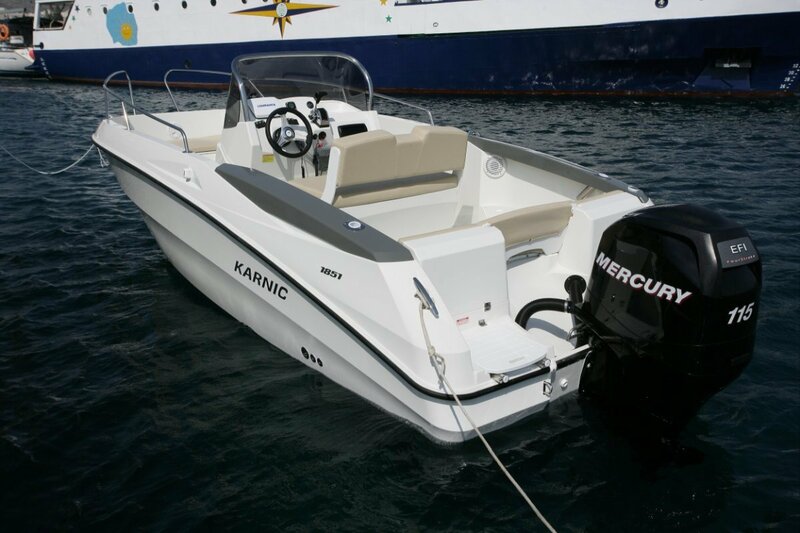 Additional storage space for bulky items such as an extra fuel tank is also provided at the stern. 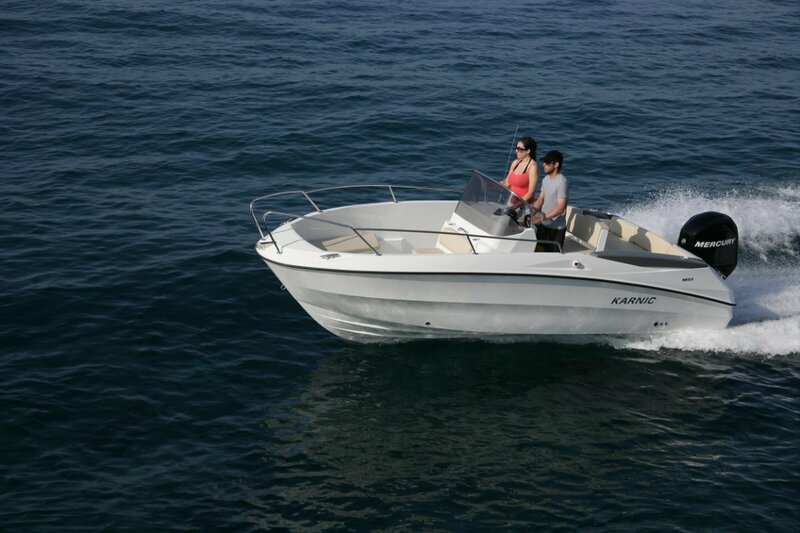 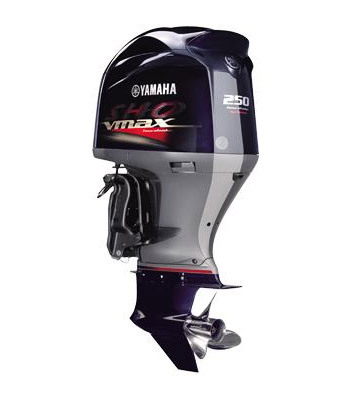 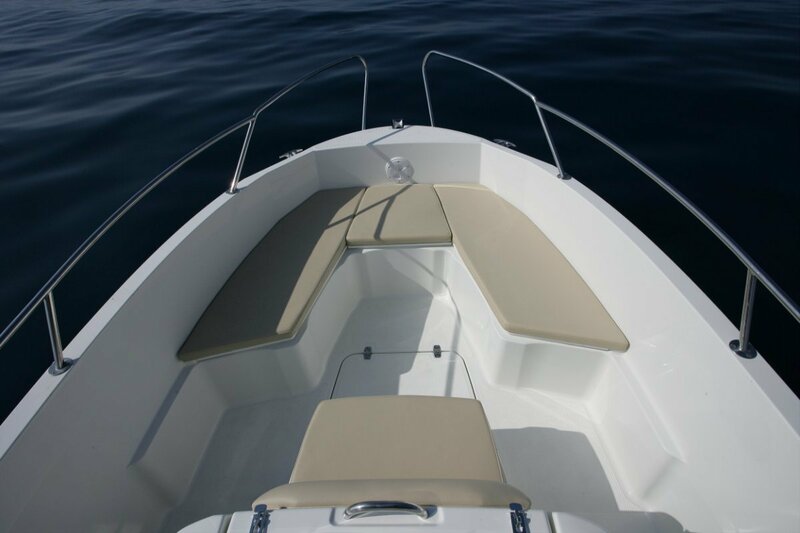 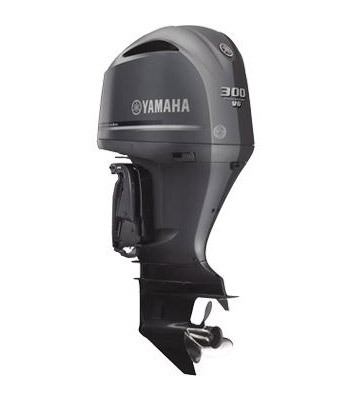 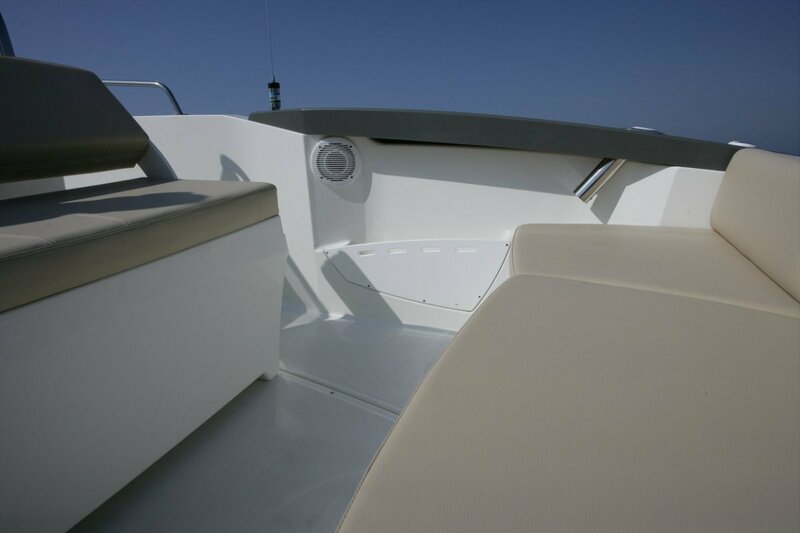 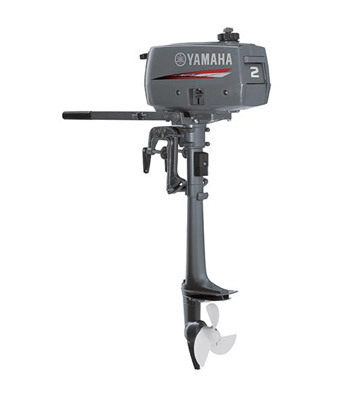 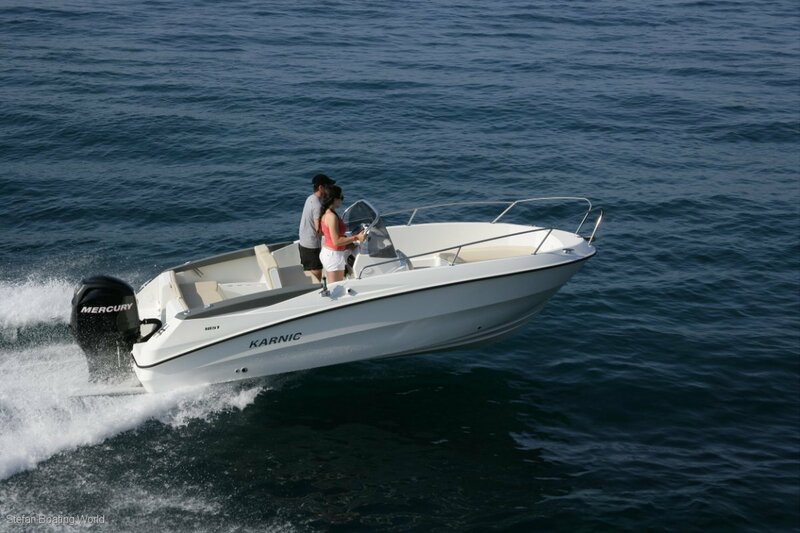 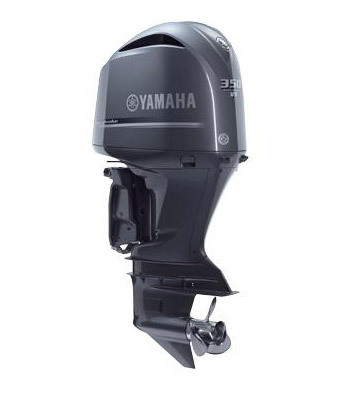 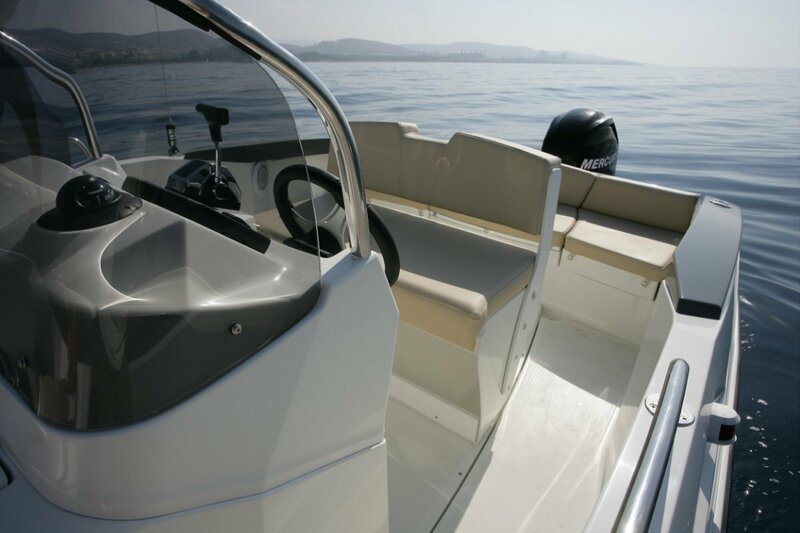 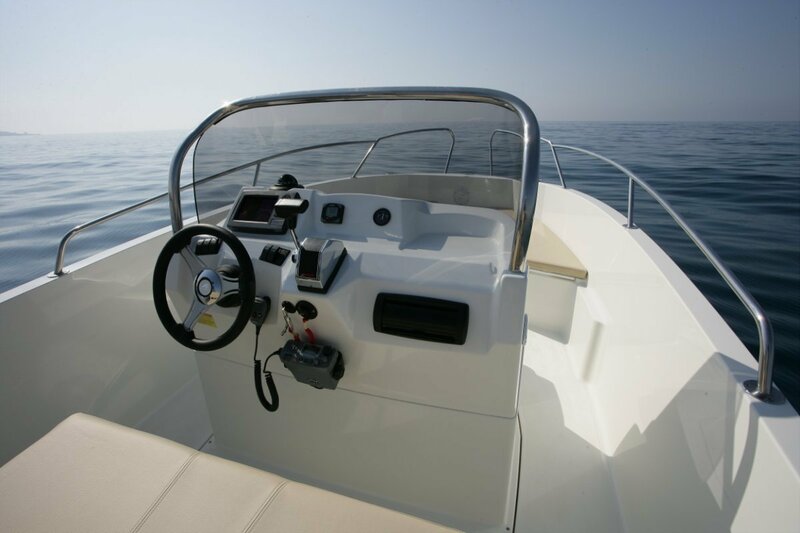 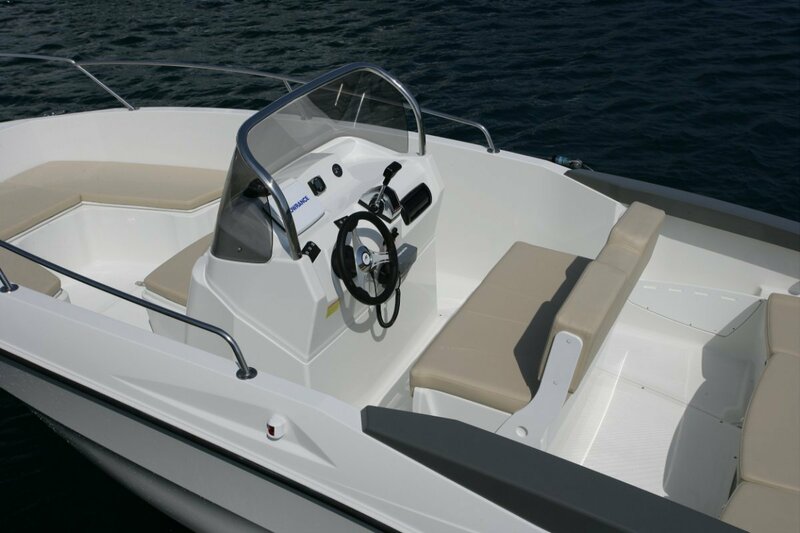 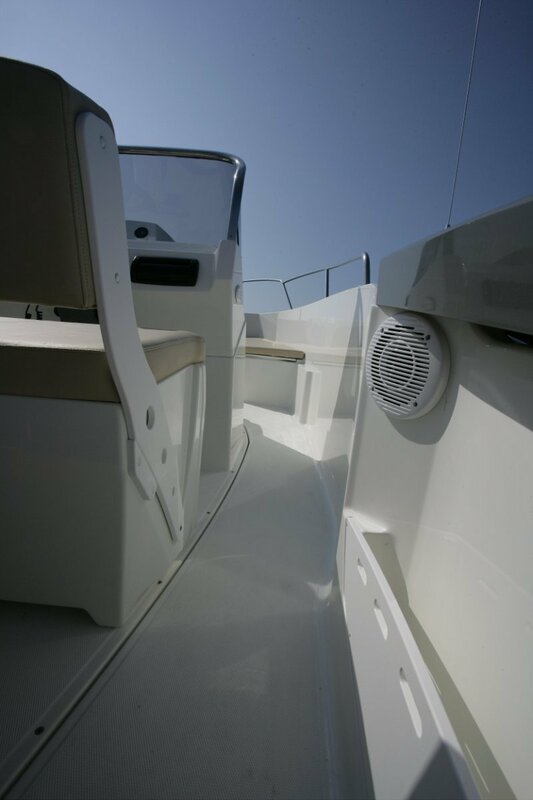 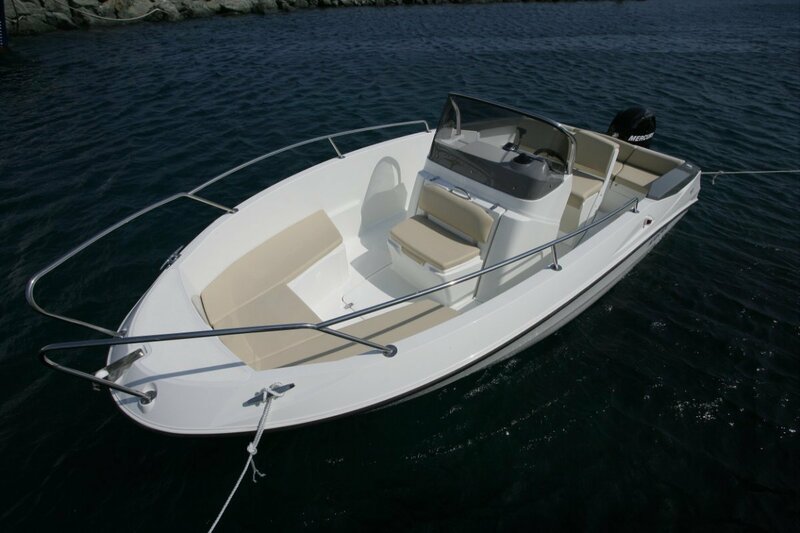 The 1851 features high topsides freeboard which, for the size of the boat, provides safety, dry ride and excellent behaviour in rough water conditions. 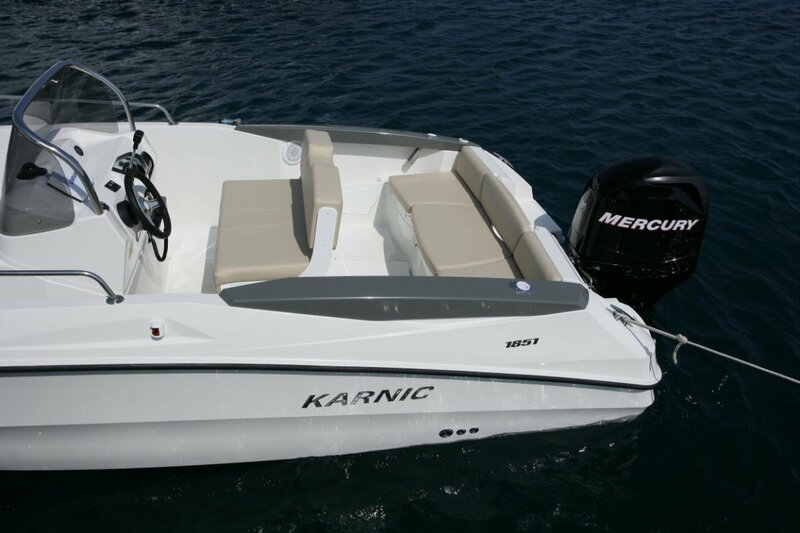 The Karnic Open 1851 comes with full CE.